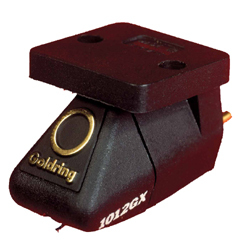 The Goldring 1012GX uses the acclaimed Gyger II diamond stylus. This is a fine line type which gives smooth extended high frequencies with low distortion and reproduces a highly detailed and dynamic sound. 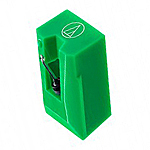 Advanced diamond tip polishing ensures excellent tracking ability and reduces record wear. 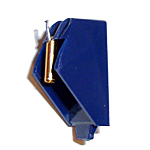 The 1012GX has become one of Goldring's most popular cartridges.